The jeans is a quintessential American invention, alongside the hotdog and coke. All of them embody the idea of an equaliser in society that regardless of class and money, everybody could enjoy. In the same way as when America’s President Eisenhower bought a hotdog for Queen Elizabeth when she visited, everybody would know somebody famous who was spotted with a pair of jeans while you wear yours. Fast forward to today, Raf Simons believes that the collective consciousness of America represents individualism while simultaneously exploring the idea of a collective purpose. With that mantra in mind, Raf Simons sets a new direction for CALVIN KLEIN JEANS – one with authenticity and youth at its core. Clearly reflected in the new Fall/Winter’18 collection, every piece is a standalone, but together redefines how dressing in denim can be. Uniquely classic American denim pieces, such as the trucker jacket and the Western shirt, are now seen through a youthful lens. A new visual vocabulary is established through patchwork pieces with graphic detailing, modern-art inspired colorblocking, and the reimagined CALVIN KLEIN JEANS logo. 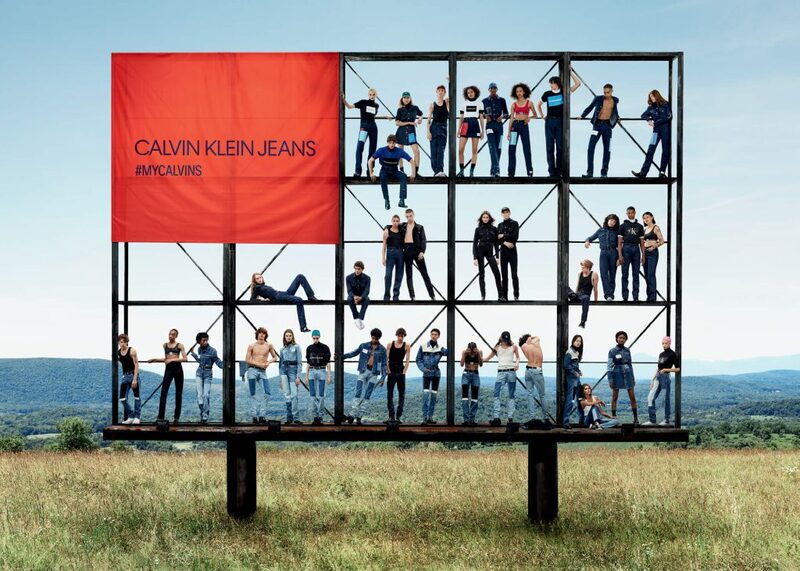 Raf Simon’s campaign lensed by Willy Vanderperre is visually spot-on regarding the ideals and democratic approach of the jeans – a diverse cast of young people stand inside an otherwise empty billboard seemingly screaming, “we’re the new collective spirit of America, and America will be made up by us”. Spring/Summer'19 accessories will never break your heart even as you fall deeper in love with them. For those celebrating Chinese New Year, the 15-day long celebration spells trouble for the uninitiated. Expect frequent house visi ..
After two years at the helm of Calvin Klein, chief creative officer Raf Simons has left the Americana inspired building. Short but ..